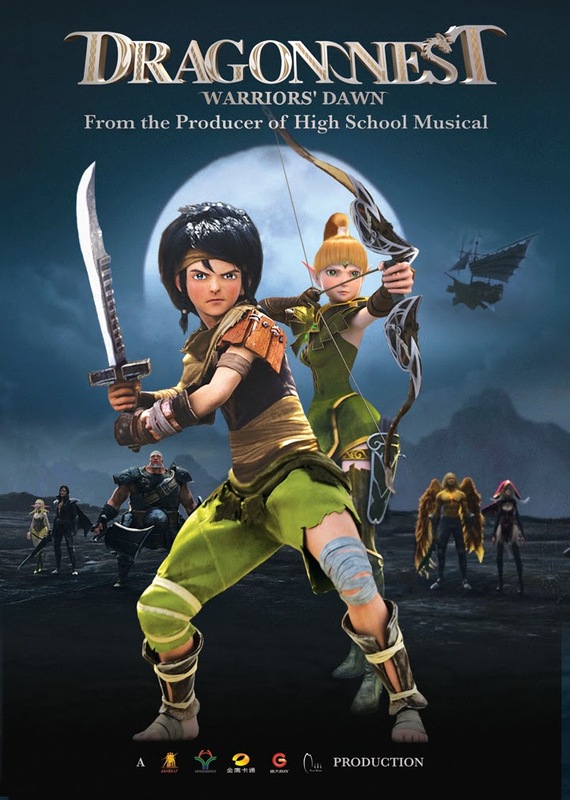 Produced by giant game prime movers Shanda Games and Eyedentity Games along with Chinese animation studio Mili Pictures, “Dragon Nest: Warrior’s Dawn” is finally set for theatrical release in local (Phils.) cinemas starting this March 18. “Dragon Nest: Warrior’s Dawn” is Mili’s debut production and is directed by Song Yuefeng, an award winning animation director. Fans of the MMORPG which has more than 100 million registered users will finally see the land of Altera and its inhabitants spring to life in cinemas. In the movie, the power of the evil Black Dragon has swept the land of Altera and all have suffered since then that triggered a sense of chaos. Of its inhabitants is Lambert, an ordinary village boy who has seen first hand the murder of his parents and the destruction of his hometown. Growing up an orphan, he swore to learn the skills on how to be a good fighter to save Altera from the evil that imprisons it. Along with Lambert are friends, fiends and creatures that he meets along his journey to become the unlikely hero of Altera. A previous warrior of the Royal Army, Barnac, is huge in built and possesses an incredible amount of strength, however, he tends to act first before thinking. And has since taken Lambert under his wing to train for the great battle ahead. Liya is an experienced archer and a follower of the Elf Princess Nerwin. Initially at odds with Lambert, they eventually become friends after sensing she can trust the human in Lambert. Geraint and Argenta’s true identities of the Dragon Clan are considered a closely guarded secret. After the rise of the Black Dragon, Geraint and Argenta became travelers to help the poor, and they became a force of power to fight against the Black Dragon. Velskud is the leader of the Royal Knight Army. He has defeated the monster armies of black dragon countless time and has gained much trust from the king himself. He often battled along side with Geraint and has become good friend with him. Nerwin, despite the endless war with human race, Nerwin, a young princess in the Elf Kingdom has volunteered to be the ambassor to form an alliance with the human kingdom to fight against the Black Dragon. Karacule is a sorceress who doesn’t trust humans and rarely deals with them. However, the monster armies of Black Dragon have also reached the once peaceful Lotus Marsh. Young Terramai is the leader of Holy Knight Army and a faithful follower of the Goddess. He has a strong sense of justice despite his cold appearance. “Dragon Nest: Warrior’s Dawn” opens March 18 in theaters nationwide from Axinite Digicinema.